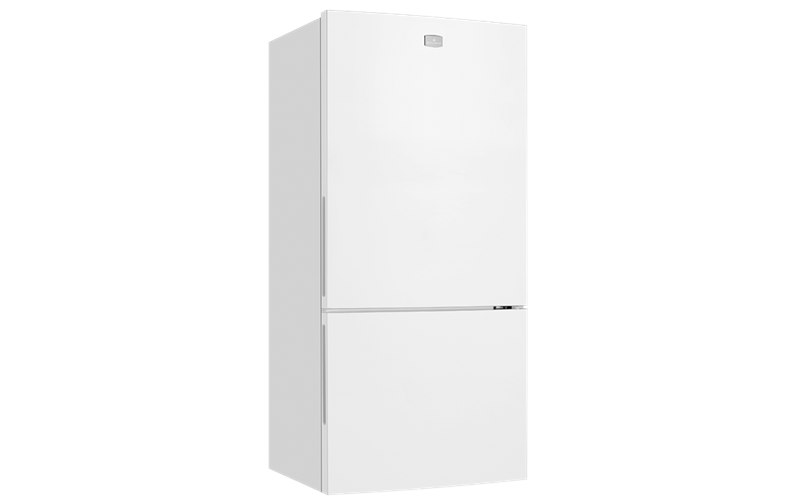 528L Bottom Mount Refrigerator is rated 4.3 out of 5 by 41. Easily change the configuration of your fridge door to suit you. The pocket handles allow easy access and make cleaning a breeze. With handy features like SpillSafe glass shelves, easy to clean liner & fewer nooks and crannies makes the fridge a breeze to clean. Rated 5 out of 5 by Semi Retired Bob from Great price, layout and space. I bought this about 3 weeks ago as a replacement. So far, so good, it's very quiet, love the extra space & the layout is simple to use & clean. First time in my life I've had a fridge with space to spare. Makes it so much easier to organise meals and expiry dates. Should have considered a bigger fridge decades ago. Rated 5 out of 5 by CJ J from Simplicity I was drawn to this fridge because of its simplicity in design. The wire baskets in the freezer are perfect and very durable. The fridge is well lit by the LED light on the interior roof. I am loving the pocket handles. Rated 5 out of 5 by hako from Excellent no frills refrigerator. We bought this fridge about 4 weeks ago and have found it does everything we need and at a very low price. 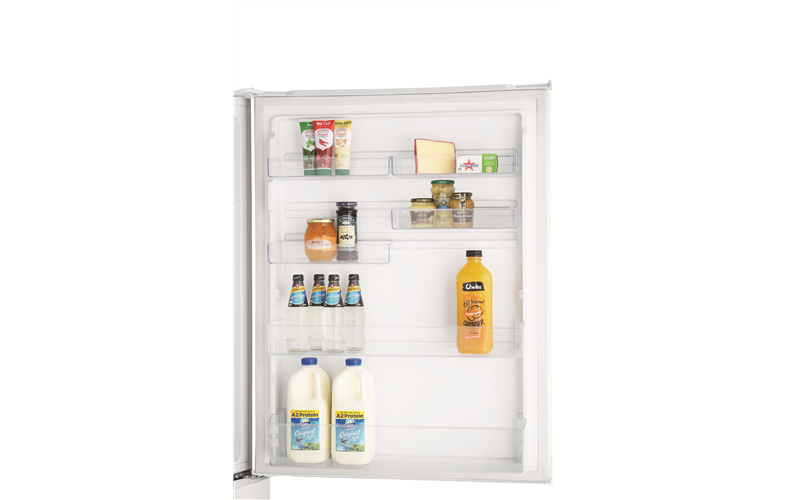 Has fast cool down in both the fridge and freezer sections, quiet in operation and the wire baskets in the freezer allow you to store more items. The fridge section on top is convenient - no more beding to access the crisper. We bought this from Appliancesonline at a cheaper price than anywhere else online PLUS we ordered at 3 PM and the fridge was delivered at 9.30AM the next day free of charge plus they removed the old fridge also for free. We thought this was amazing as we live 150km from Brisbane. Rated 1 out of 5 by TT80 from Terrible fridge broke down twice is less than 1yr Bought this fridge in May 2018 first time it broke down in a December 2018. Fridge full of food all spoilt. Second time April 2019 one day before we leave to go away for Easter- again fridge full of food wasted. Need to drop everything to wait around for tech and bin hundreds of dollars worth of food. Not happy. Rated 4 out of 5 by Trotty45 from It's Big! Our new Kelvinator was delivered and installed exactly one month ago today. So far so good. After using a 345 litre Kelvinator for seventeen years, the most noticeable thing was the size...a jump to 530 litres! The freezer on the bottom layout is wonderful. 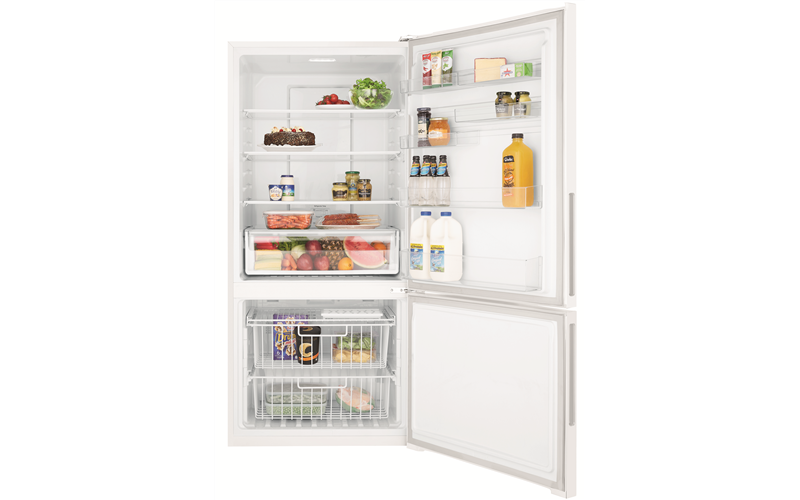 The fridge section is roomy, bright, easy to keep clean and at eye level. The fridge is coping well with the high temperature our area is experiencing at the moment. If the Kelvinator continues to perform as it is now, for the next 17 years, we will be delighted. It's a little early to give an enthusiastic review but I feel that all will be ok. Rated 4 out of 5 by bettsy from Brilliant piece of equipment Good looking piece of equipment, smart sleek lines.